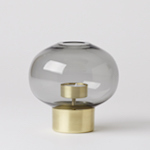 We were thrilled to visit Pia Wallen at her studio loft in Stockholm in June. It was one of the nicest spaces Juli and I have ever seen and it hasn’t left our minds. The beautiful white floors and walls, large windows, and hits of black and red heavily influenced our design decisions at the cottage and no doubt will come back when we eventually renovate our apartment. 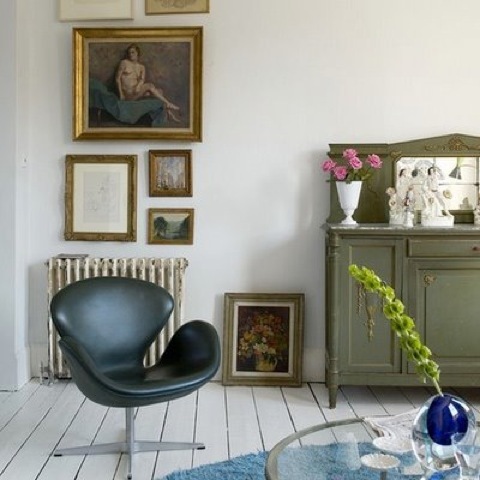 The one thing we can’t forget was how comfortable and intimate her collection of old weathered Swan chairs were. We all sat together around this coffee table eating Swedish strawberries and talking about her designs. 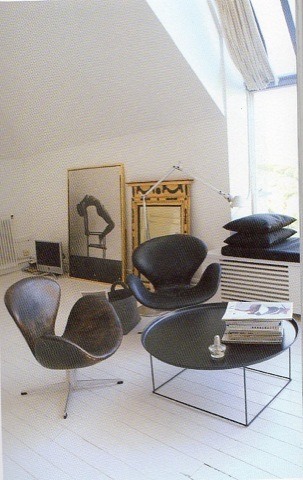 Another great example of black leather Swan chair against white painted floors. 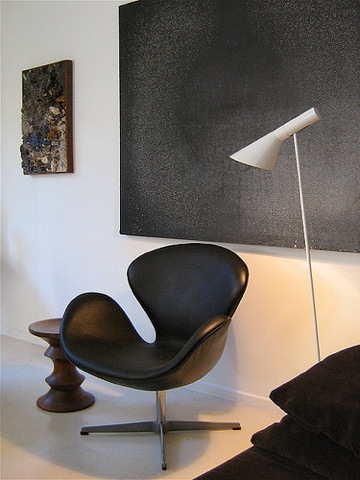 Black leather Swan chair and AJ floorlight is a winning combination from Jonnieeleven’s Flickr page. 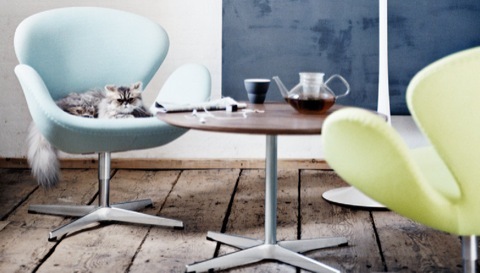 Contemporary colours with rustic floors via Fritz Hansen. You may remember our article on the Radisson SAS Royal Hotel in Copenhagen way back in June. 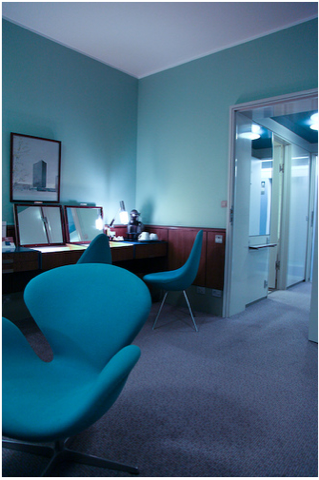 Mid-century modern teal in Suite 606. 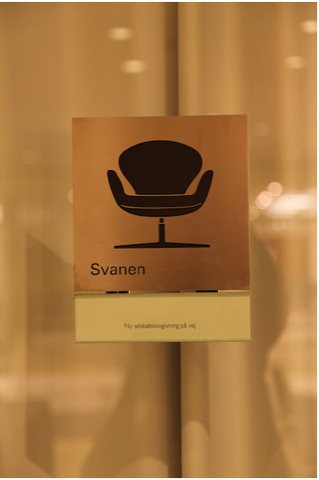 Conference room signage at the Radisson SAS Royal Hotel.